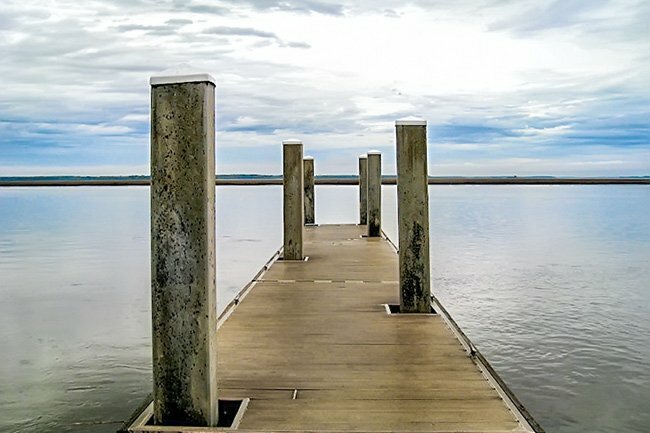 Steamboat Landing on Edisto Island provides boat access to Steamboat Creek, a branch of the Edisto River. The name of the creek, and subsequently the landing, likely originated with planter William Seabrook. Seabrook owned adjacent Seabrook Plantation (built around 1810), as well as a ferry service, which operated a steamboat called the W. Seabrook. 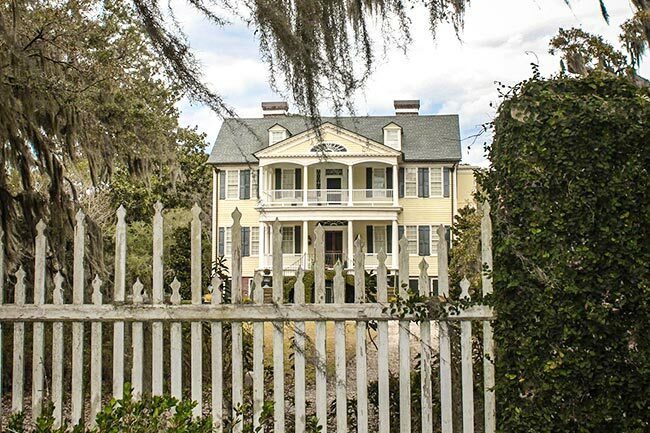 The William Seabrook House, pictured below, established a distinct style of architecture which was replicated throughout the island with slight variations. The two-and-one-half-story Federal structure sits atop a raised brick basement and has the traditional and favored floor plan found throughout the Lowcountry. Four rooms downstairs, separated by a central hallway, with the same floor plan repeated upstairs. The central hall is dominated by a unique double staircase that meets in the middle, at a landing, where a single stair rises to the second level, this is one of the defining features of the home’s interior. Graffiti can be found scribbled on walls throughout the home dating to the occupation of Edisto Island, by Union troops, during the Civil War. The house remains a private residence. The brick tea house at Seabrook Plantation can be seen in the image below. 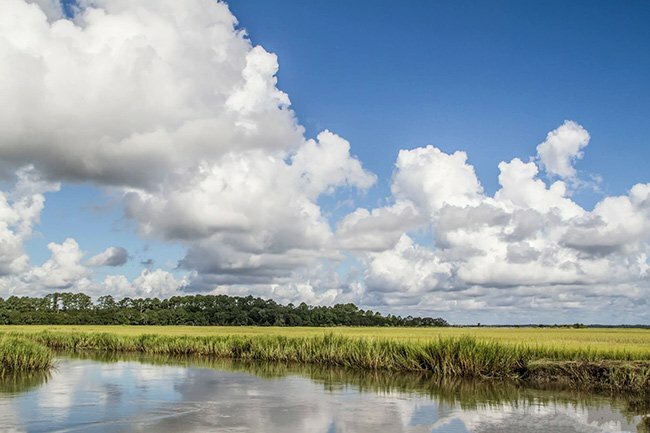 During the Civil War Steamboat Landing was used by the New York 47th Regiment to access Point of Pines Plantation, where Union troops established a headquarters. 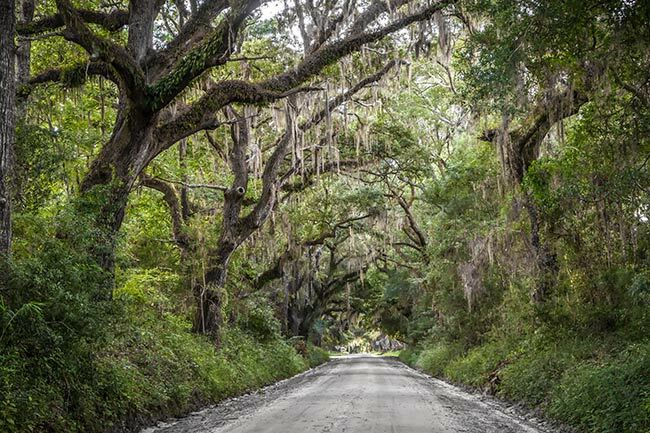 The landing continued to be used throughout the nineteenth century and into the early twentieth century as steamboats would transport workers from Edisto to Yonges Island, where they would then catch a train to Rantowles and work the phosphate mines. The short-lived phosphate industry replaced the rice industry after the Civil War; the rice industry collapsed after the loss of slave labor, and phosphates were then mined to be used in fertilizer. The landing was also used to ferry islanders to Charleston aboard the steamers Pilot Boy and Mary Draper. Ferry service continued as late as 1920, but eventually boats gave way to the automobile. 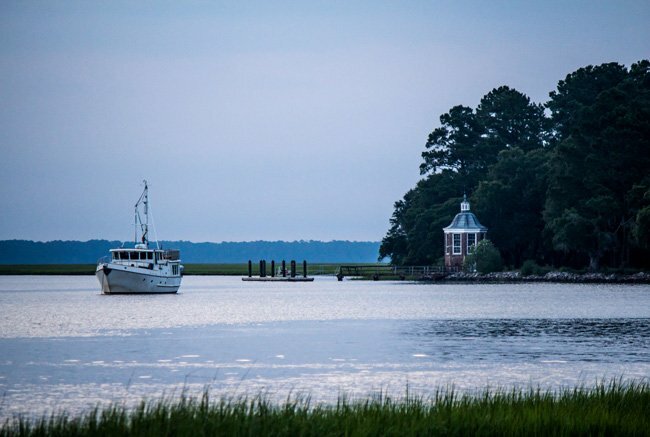 However, Steamboat Landing is still a favorite of boaters exploring the channels of Edisto Island. 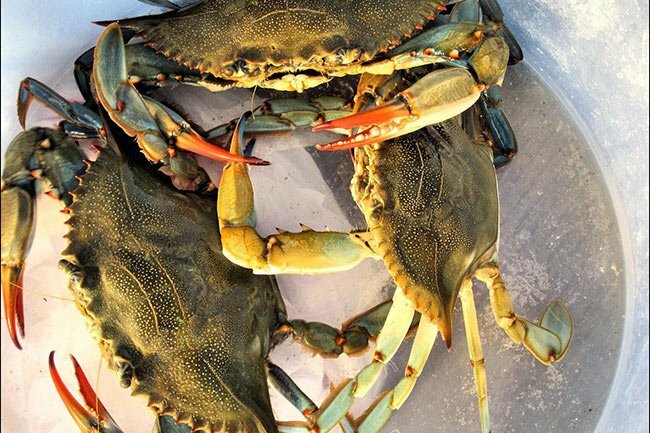 Fishing, crabbing and dolphin sighting remain popular activities when visiting the landing. We used to visit every summer in the 1950s my grandfather, Dr. Harry S. Mustard, and his beach house on Edisto. We loved fishing on the beach for bass and in the Edisto sounds for flounder. A wonderful, peaceful existence for all. The beach breezes traveled through the beach house offering a time of rest and contentment. We forever treasure this time in our life. Is Steamboat Landing accessible and open after Hurricane Matthew?